Processing your organization’s payroll requires strict attention to detail because it affects your staff’s compensation. And because there are state and federal penalties if you do it wrong. Trust us, you don’t want to do it wrong. How often are employees paid? Are all employees paid on the same schedule? Who processes your payroll? Is it done in-house or by an outside payroll service? How many days in advance of payday do you have to provide the information? 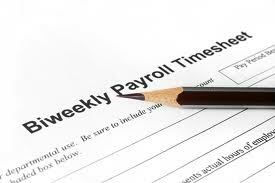 Who reviews and approves timesheets or time entered in the timekeeping system? Who keeps the staff timesheet records and where are they kept? Do you create a pre-payment payroll report online? If so, who creates it? Who reviews and approves it? Who determines if there is enough money in the bank account to cover payroll? Who transfers the money to the bank account to cover payroll? Who generates the payroll checks? Who distributes the payroll checks? Do you provide the option for automatic deposit? Who investigates undistributed payroll checks and rejected payroll direct deposits? Who calculates and remits the payroll withholding taxes? Are there other deductions to track like for employee pension contributions, health insurance premiums, Flexible Spending Account contributions? Others? Need to catch up on last month’s homework, click here. next post: Happy Admin Week!